WELCOME TO THE 2018 - 2019 SEASON! Our Learn-to-Skate USA program will return to the Canton Ice House and the Ulin Rink in September. Check back in August for exact dated. We will be holding a test session at the Canton Ice House on June 24, 2019 from noon to 4 pm. This test session will include moves, freestyle and dance. Please visit our Test Sessions page for details. The ice schedule for spring 2019 is up. Please visit our Ice Schedule page for session times. Learn-to-Skate now offers a hockey skating curriculum in both Canton and Milton. Plese contact us if you would like more information or if you want to sign up for the current session or future sessions. Visit the Learn To Skate page for details. Commonwealth now skates at two rinks! Max Ulin Rink in Milton. 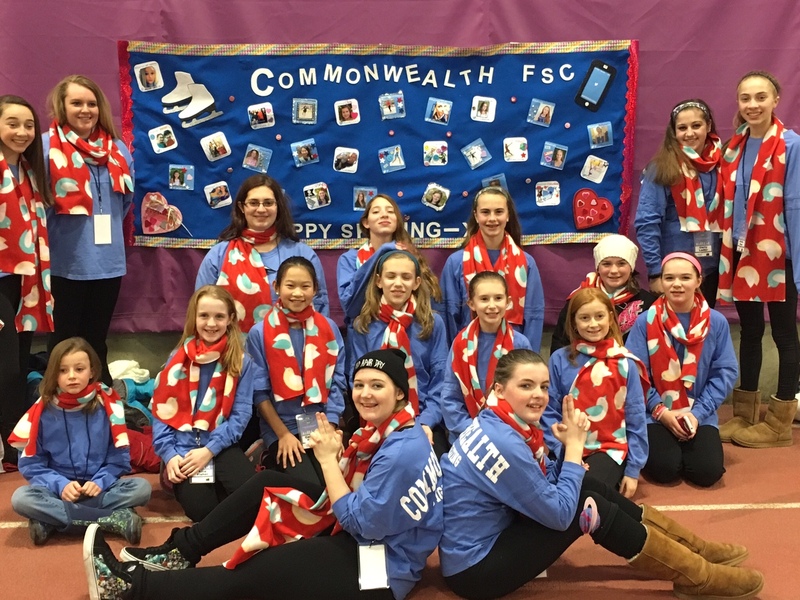 Since 1938, Commonwealth Figure Skating Club (CFSC) has provided figure skaters of all levels with the opportunity to experience the camaraderie, personal development and confidence building that the sport of figure skating has to offer. Whether a skater is just beginning in a Learn to Skate program, performing in one of the Club's annual exhibition shows, testing their skills or competing in industry events, each skater is welcomed into CFSC as a fellow skating enthusiast. We look forward to sharing our passion for figure skating with you! Commonwealth Figure Skating Club is a Section 501(c )(3) Massachusetts nonprofit corporation. Please contact Alan Lader for questions or concerns related to our skating rinks.